The last time I visited Disneyland was four years ago, on May 29, 2009. This was the day after I graduated High School. My school did not sponsor a trip for graduates, so we simply went as a family, driving down there the next morning after the graduation. I remember we ate at the special "Club 33" restaurant between Frontierland and Adventureland in the French quarter section. My favorite rides at the park are Space Mountain, Big Thunder Mountain Railroad, Materhorn, and Splash Mountain. So yes, all of the "mountain" rides. If we were to include CA Adventure, then I'd have to also say Grizzly River Run, Tower of Terror, Soarin' Over California, Toy Story Mania, and California Screamin', informally referred to by me as the "Mickey-Coaster". As for rides I hate: All of the Fantasyland rides minus It's a Small World, the Finding Nemo sub, that Monsters Inc. ride at California Adventure, and the absolute worst of all: The Bug's Life It's tough to be a bug show. Seriously, that attraction absolutely scared the butterflies out of me, and I was 13! Never again on that one. Overall, it's a great park, though as I am more of a thrill seeker who prefers high-intensity rides I still prefer Magic Mountain overall. Hello again everyone! 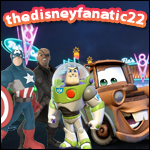 I would like to let everyone know that I have decided to start a new forum called Disneyland Fans. It is going to be a lot like this site, as it is inspired from this site. Once I finish setting up the site, I'll give you guys a link to the site so you can hopefully check it out and join. Thanks! Sounds Great! I would love to be a part of it. "It all started with a mouse"
^ thanks! I'm currently trying to Mae ranks like this forum, except they are different rides in the park. Haha, thank you! I decided to use a new site to make it so it will look a little like this one, but without all the complicated coding. I had troubles with the other one, but so far this one is smooth sailing! At this rate, I expect it to be finished in the next couple of days! UPDATE: this will probably be the last update till it opens. 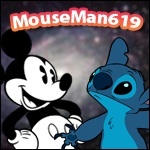 I have had issues trying to make the theme of the site "Disney", so I'm calling on my super techy uncle to help me finish it up. If all goes well, I may even be able to open the site up tonight!